The latest year-over-year residential water use numbers are out, offering a glimpse at how much of the wet stuff larger cities throughout California are using and how much they're conserving. The broad view for October's water conservation efforts isn't good, but the gloomy news comes with warnings about comparing data 1) between cities that may have very different water needs and 2) across time when temperature could be factor. That said, October represents a significant backslide in water conservation statewide. Water use this October was down 6.7 percent compared to the same time last year. Sounds good, but that's also a 3.6 percent decrease in water savings compared to September, 2014, which had a statewide conservation rate of 10.3 percent. "They're using less water, but they're using less less water than they did last month," State Water Board Chair Felicia Marcus said. Marcus said the gallons per capita, per day average is a new measurement, and officials are still grappling with exactly what it means. "This set of reports has raised more questions than answers for us," Marcus said, but she added that it could be useful in transferring a best practice from a city with conservation success to another similar community struggling to reduce usage. State and local water officials worry the drive to conserve will falter as winter storms start to hit the state. But it's unlikely that California will get enough rain this season to break the severe drought, now entering its fourth year. 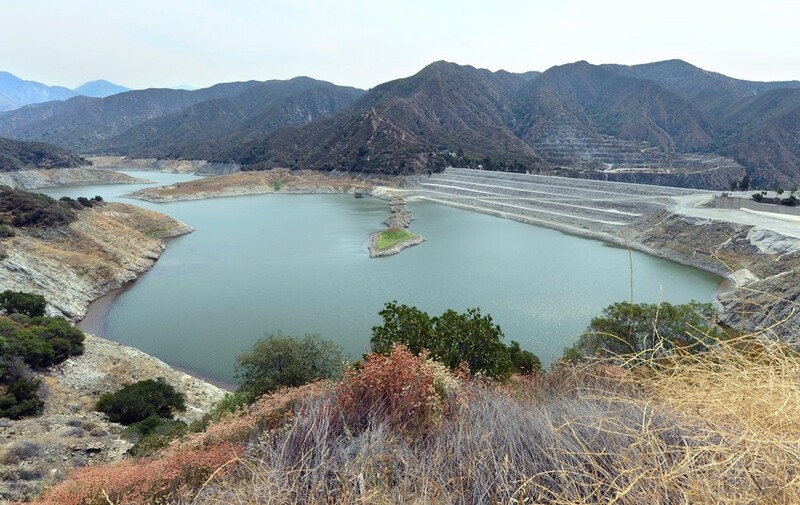 "As we’ve seen over time, conservation wanes a bit when you get into fall and winter months," said Lisa Lien-Mager, spokeswoman for the Association of California Water Agencies. "Even though we may be in a drought, people aren’t thinking about it as much as they did in the summer." Lien-Mager noted that 2014 is on pace to be a record-setting warm year for California, which factors into water usage and the drought. She said long-term efforts, like water districts offering cash rewards to residents who replace lawns with drought-friendlier landscaping, have yet to impact usage, but they will. "They may not show the results immediately, but those things are happening, we know that," she said. "Those programs are going through the roof all around the state. We have to show some patience." The report does indicate which larger cities and regions are continuing to conserve and which are falling off. The Bay Area "gets a gold star," Marcus said, noting that San Francisco uses the fewest gallons per capita, per day of any major city in the state. San Franciscans used an average of 45 gallons per person each day in October, with an 8.73 percent reduction this year compared to the same time last year. Even bigger users in the Bay Area, like the city of Hillsborough down the peninsula, are maintaining conservation. The city guzzles 228 gallons per person, per day, but it has reduced usage by 21 percent, compared to last year. Not so in parts of Southern California. "It really is Southern California bringing down the curve," Marcus said. "In Northern California people have maintained their percentage year-over-year rates, and in Southern California it seemed to drop significantly with some communities actually using more water and others who had been saving 7 or 8 percent now saving 2 percent. And we’re not entirely sure why that is." State regulators are not currently considering harsher restrictions or fines for people who fail to conserve, Marcus said. Last summer, California became the first state in the country to institute statewide water conservation regulations, which she said are generally better handled by local water districts. "We took the unusual step of doing what were relatively modest regulations to help kick [local] agencies into gear because it felt like they kept thinking it was just going to rain," she said. For now, regulators are opting for positive reinforcement and friendly reminders. The State Water Board is planning a Southern California water conservation workshop for Dec. 17 in the Los Angeles area. But that could change if next month's conservation rate continues to fall. "It depends on what people do about these numbers," Marcus said. "If it rains a lot, it’s hard to keep the messaging up, and it could go either way. If folks don’t take action, we probably will have to."